The style of a home speaks to its owner's personality type. There is no better way to find the style home that best fits your individual qualities than the Myers-Briggs Type Indicator® (MBTI®). For those who have taken this Indicator test, take a look at the home that best suits your lifestyle. If you're new to the idea, click here to match your personality type with one of the 16 Myers-Briggs results. A counselor's outlook on life allows this personality type to think outside the box and open themselves up to unpopular opinion. The unique quality of an oriental style home is very fitting for someone with this personality type. The idealist fantasizes and dreams up ideas until the potential they see in a project is fulfilled. A Tudor style home fulfills this fantasy with beautiful trim work that is storybook quality. Masterminds take all the formal routes in life adhering to theories and being self-sufficient while doing so. The Neoclassical style home is known for its large formal columns and symmetrical windows that fit the guidelines of a mastermind's lifestyle. A thinker does just what their name suggests; they use logic to think. This personality type is very analytical and abstract while being flexible in their thought and theory exploration. The abstract details of a Victorian style home are truly fitting to the level of depth achieved within a thinker personality type. The nurturer values harmony in their life and does so unselfishly. Nurturers are known as the philanthropists who is very conscientious of their surroundings and friendly while keeping to themselves. The cottage style is perfect for a nurturer's need to find that balance in their personal lifestyle and their home. A composer is always present in each moment keeping away from any conflict or disagreements. They appreciate newness as explorers and they are social butterflies hosting quite the gatherings. A modern style home, which is rooted in a deeper historical context than contemporary homes, will suffice composers' need for new while remaining secluded if need be. The inspector personality values traditional and orderly behavior. They are honorable and proper while keeping to themselves. A Georgian colonial style home has the same symmetrical quality as Neoclassical, but its smaller more complex doorway gives it the traditional taste an inspector looks for. The craftsman is an observer who is both rational and spontaneous. 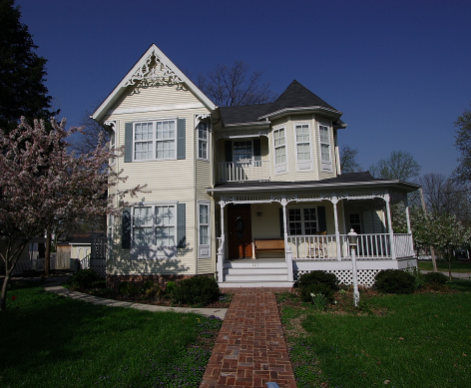 It is only right to deem a craftsman style home are fitting for the craftsman personality. Its large porch feature is unpredictable and the layout of the home exceeds a craftsman's rationality test. The giver cares for others and is focused on connecting with other people. For this reason, a giver needs to be in a sociable area surrounded by people to whom they can give back. This makes a townhouse in a lively community perfect for the giver personality. A champion sees the possibility is all things and stays individualistic. This personality type is far from cookie-cutter and they like to go their own way. A prairie home features a flat roof that is far from cookie cutter and the possibility for imagination is endless. The commander is a goal setter, long-term planner and a natural leader before all else. This personality loves to solve problems and they are intuitive making them that of a businessman or businesswoman looking to sustain their business. A farmhouse suits one with this mentality living in Ohio quite well with its emphasis on function over beauty. Visionary personality types are resourceful and easily bored by the same routine. The northwest style home is far from boring with its exposed, unpainted wood features that make the home stand out from the rest. A provider is the personality type you immediately think of when brainstorming your most extroverted friends and family members. They are social butterflies and they are the first to offer their home for every family or friend event. For this reason, a contemporary home with top-of-the-line efficient appliances and the most up-to-date features is perfect for the social friend in the group. The performer makes sure they are seen in all aspects of line. They are exuberant and spontaneous making them the perfect match for a bright art deco home that is quite frankly far and few in the state of Ohio. The supervisor takes their job of managing people at work and brings it home with them. They are practical implementing ideas and showing their leadership in all walks of life. It is only right that a supervisor comes home to a westernized colonial style home that is less elaborate than its Georgian sister style, but still keeps its formality with flat pillars and symmetry. The doer is always active around the house while still enjoying material items. They learn because by doing and they will fix anything and everything that goes wrong. This means fixing their log cabin home that is surrounded by endless woodland possibilities of "doing". Does your current home style match with your personality type? If not, it's time for a refresh! Call one of our Berkshire Hathaway HomeServices Professional Realty agents today to begin your search.